Please note:These lessons are very popular, so book soon to avoid disapointment! What is Little Dragons all about? Children learn best through playing games and through the emulation of a strong, postive role model. 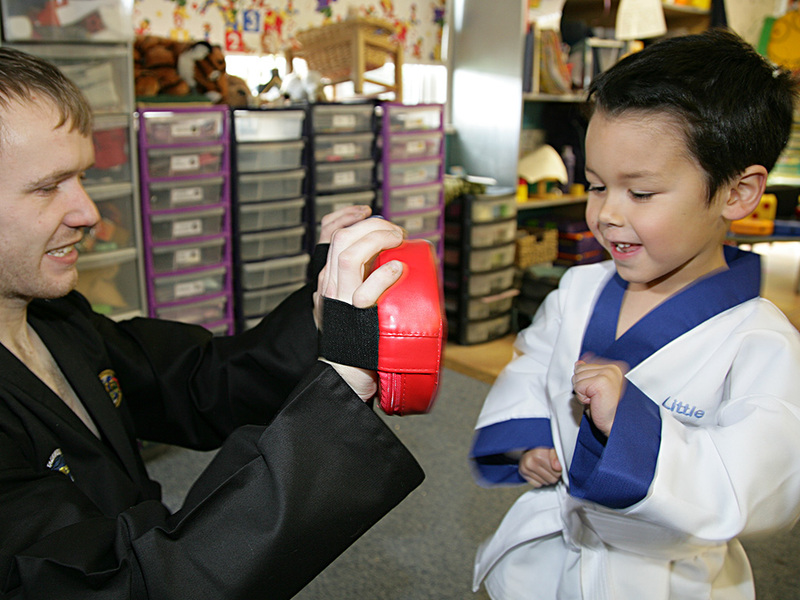 With that in mind, the Little Dragons classes for 4-6 year olds are fun and active, whilst maintaining the traditions of martial arts – i.e. the promotion of good human character, respect & discipline. Most importantly, Little Dragons learn life skills such as balance & co-ordination,fitness, self discipline, focus, memory, teamwork and strangerawareness; in a society where children can be potentially preyed upon, it is important to give them the skills to avoid danger and if necessary deal with that danger. Every child should benefit from the head start which Little Dragons can offer. We offer the first two lessons for free to try and guarantee fun!